Styled with tilgate t-shirt 02 . These modern joggers feature minimal details to keep things simple — plus Tna's signature Spiro graphic. Pair them with the Edson hoodie and call it a kit. I’m 5’5”, 29 inch waist, and in between sizes s & m. Tried m and the waist felt very loose even with the drawstrings tied, but fit was comfy and just the right amount of lose around the legs and thighs. Exchanged for s and it fit perfectly, but after washing according to the care instructions, it felt like it shrunk: legs seemed shorter and tighter around the knees. 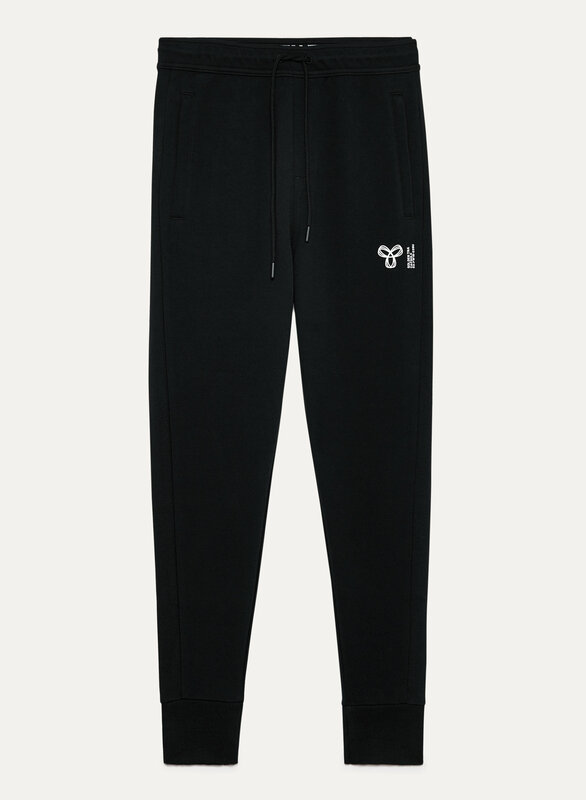 Amazing sweats! Please make again!! I love these and wish I had for the black before they sold out! They don't bag out like most sweats in the bum, hold they shape and very flattering with the high wiast and slim pockets.